South Africa is a country poorly understood in the wider world. Martin Plaut andPaul Holden believe that the two main views of the country that persist in the international consciousness – that after the end of apartheid South Africa’s problems were at an end, and that a coterie of criminals is turning it into another Zimbabwe – are both highly inaccurate. Who Rules South Africa? provides a balanced look at the country and points to the real centres of power, which do not include Parliament. Reviewed by Sue Onslow. In the centenary year of the formation of the African National Congress (ANC) and with all eyes on President Jacob Zuma as he prepares to fight for his political life at the ANC elective conference in Mangaung this December, Who Rules South Africa? has been published at the perfect time to look again at South African contemporary politics. The shooting of 34 miners at Lonmin’s Marikana site in August 2012 also dramatically underlines the need for a sophisticated understanding of the complexities of power in South Africa. The authors, Martin Plaut (Africa editor, BBC World Service News) and Paul Holden, ask what the driving force of change is in today’s South Africa. Is it the participatory politics of unions and civic organisation? The party as the revolutionary vanguard for socio-economic transformation? Class interest? Self-interest? Criminal interest? As this book points out in its detailed exposé of the structure and strings of power, South African democracy is not under terminal threat, but the warning signs are there. The authors, two highly respected commentators, combine domestic and international perspectives and use a wide range of secondary sources, speeches, policy documents, investigative journalism of the fiercely independent South African press, and their own extensive personal interviews, to provide a damning indictment of the manipulations of power from the hopeful dawn of 1994 onwards. The ANC was always going to have a revisionist press, as the liberation movement and its leaders were proved to have feet of clay and the toxic legacies of the apartheid era proved more enduring and difficult to combat than was originally hoped. The authors do not find the increasingly vicious struggles for power between the different factions over the last decade at all surprising, given the Alliance’s sometimes “schizophrenic components”. The tensions within the Tripartite Alliance of the ANC, Congress of South African Trade Unions (COSATU), and the South African Communist Party (SACP) played out in informal councils where the real discussions took place, are set against the background historical context of the complex and multilayered strands of the liberation movement. The authors chart the erosion of the democratic foundations of power, the silencing of political debate including attempts to muzzle South Africa’s fiercely independent print media and interference with the South African Broadcasting Corporation, and the threats to the independent judiciary and attacks on the Constitutional Court – as the book makes clear, leading ANC officials fail to appreciate that no-one is above the law. Also covered are the dangers of erosion of a non-partisan civil service, the distortion of the role of the intelligence community and security services to serve party interest, and the leeching of ANC values as the party fails to deliver to its core constituencies. There are two densely written chapters on the Arms Deal and the erosion of Parliamentary power; and the uses and abuses of intelligence. There is a wealth of detail here in the bombardment of names, acronyms, dates and details of competing agendas, but readers should persevere as the conclusions to these chapters pack a very large punch indeed. So too, the perverse and selfish agenda behind populist calls for nationalisation, to rescue an improvident and greedy narrow clique of new BBE oligarchs, behind the facade of ‘national empowerment’. To its detractors, the ANC is an object lesson in the Lord Acton maxim, ‘Power corrupts and absolute power corrupts absolutely.’ Plaut’s chapter ‘Crime, Corruption and Connections’ expressly addresses this. The discussion of the land issue is thoughtful and detailed, as is the examination of the causes and consequences of service delivery failure. Recent political commentators since the August shootings at Marikana have repeatedly emphasised South Africa is a powder keg, with detailed and disturbing reports of police brutality, and trade union rivalry, violence and intimidation. The voice of the ANC’s critics is swelling, as the power centres jostle for influence: in a country that values free speech, former ANC Youth League leader, Julius Malema cannot be muzzled. The events at Marikana, followed by wildcat strikes at other mining installations, underline the political dilemmas of the trade unions: the ACMU’s militancy is born of both frustration, and organisational weakness. But will the broader COSATU organisation reassert its autonomy in South African politics – the ‘workists’ against the ANC’s ‘populists’ – and be energised to form an alternative party of the Left? (Interestingly the SACP which has taken an increasingly dim view of elements of the ANC’s ‘’parasitic relationship with white business” did not condemn Lonmin & the mine’s management in last month’s shootings.) The Democratic Alliance is positioning itself in the Western Cape – but needs ‘a core economic message people can relate to’ if it is to break significantly into national politics, as well as to cast off completely its image as the party of the white elite. 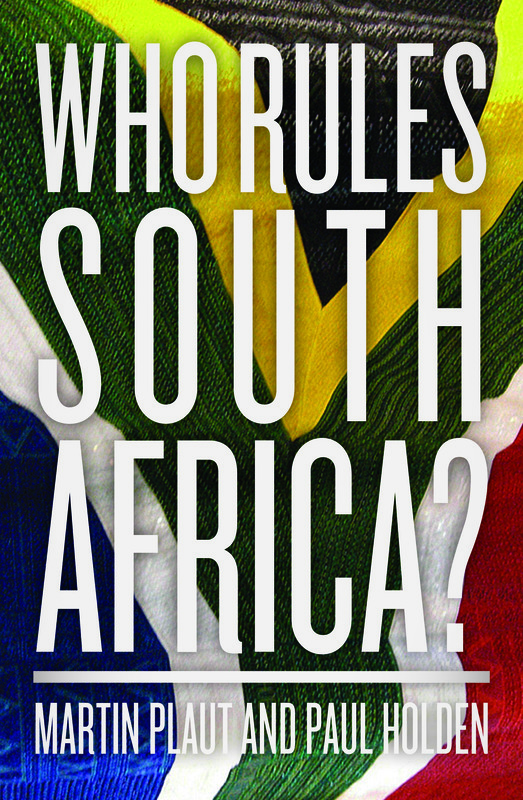 The book’s conclusion stresses the continuities in South Africa’s political life: “South Africa remains what it has been since 1948: a one-party state, with democratic trimmings”. The ANC wields power within a broad alliance, and is itself a broad church. The power brokers and ruling forces within South Africa are increasingly challenged. The frictions between the ANC as representative of the increasingly conservative aspirational African middle class, and its left wing allies, look set to intensify. Will Zuma be able to rely on his previous trump card – a supportive and pliant intelligence security sector – in the run up to Mangaung, with the South African police under intense observation and criticism following the Marikana shootings? Growing union militancy will also put the spotlight on the powerful player of white business, but the new Black Economic Empowerment (BBE) moguls are also increasingly hate figures for the have-nots in South African society. Add into this potent and explosive mix, a new social movement, another grand corruption scandal, a surge in DA electoral support, as Holden and Plaut make clear, the ground could shift rapidly under their feet. But the power brokers and new power centres will not go down without a fight. The overhead sign remains: Turbulence Ahead. Sue Onslow is a former lecturer in the International History Department and co-Head of the Africa International Affairs Programme at the LSE. She is a specialist in British foreign policy and decolonization in sub-Saharan Africa, and Southern Africa in the Cold War era. She is currently Senior Research Fellow at the Institute of Commonwealth Studies, as co-Investigator of a major AHRC funded project on the history of the modern Commonwealth. Read more reviews by Sue.